Picking the top twenty novels of the year is never an easy task but revisiting my choices is always a joy as is rekindling the love I felt for each one during the read. This year we have a mother daughter act, some debuts, some returning friends, and a two for one, some new to me authors, fan favorites and a whole lot of great reads. 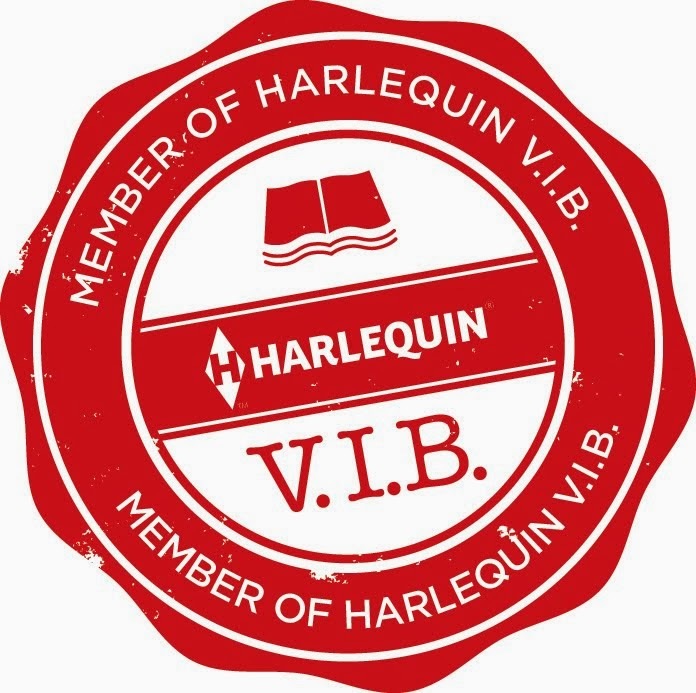 I hope your 2016 is a great one filled with many wonderful literary finds! and from then on its been a literary love affair. This historical masterpiece confirms her place as one of my favorite authors. 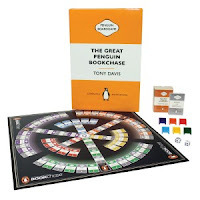 Click HERE for our interview and my review of the novel. 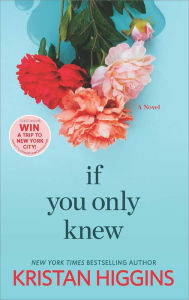 If You Only Knew by Kristan Higgins - Kristan Higgins is yet another favorite author whose rich funny and genuine characters stick with me long after the read is over. I had the incredible honor and privilege to not only meet Kristan in person but also have dinner with her. It was a dream come true and one thing I can scratch off my bucket list. Click HERE for our interview and my review. 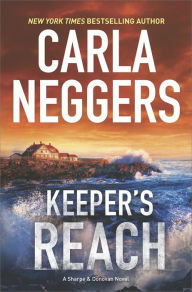 Keeper's Reach by Carla Neggers - Carla has also over the years of enjoying her novels become a favorite of mine and millions of others. Keeper's Reach is a novel in her Sharpe & Donovan series, a series that features frequent forays to Ireland a favorite travel destination for Carla and her family. Click HERE for my review courtesy RT Reviews Magazine. 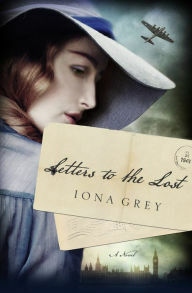 Letters To The Lost by Iona Grey - I had the privilege of reviewing Iona Grey's debut novel for LibraryJournal. It was yet another unforgettable novel an epic journey for an ill-fated couple. 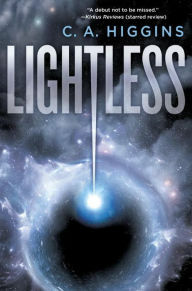 I couldn't locate a permalink to the LJ site but click HERE and B&N has my Starred review listed. 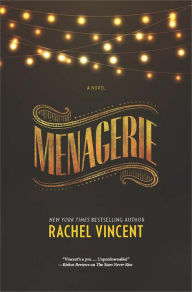 Menagerie by Rachel Vincent - This was the first book by Rachel Vincent that I have read but it definitely won't be the last and I can't wait to see where she goes with this amazing urban fantasy series. Click HERE for our interview and my review. 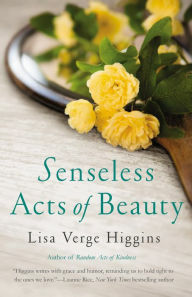 Senseless Acts of Beauty by Lisa Verge Higgins - Lisa is another of my favorite authors her novels about friendship, family and relationships have become some of my all time favorite reads. And she's the mother of the talented mother daughter team that I mentioned above. Senseless Acts of Beauty was a group read for my Goodreads group in April, click HERE for my review courtesy RT Review Magazine. 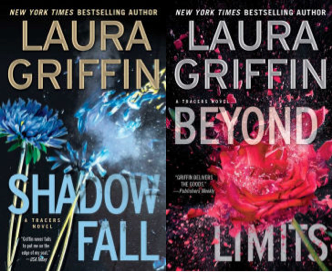 Shadow Fall & Beyond Limits by Laura Griffin - Laura Griffin writes some of the best Romantic Fiction out there and her attention to detail in this series is but one of the many reasons its always on my must read list. 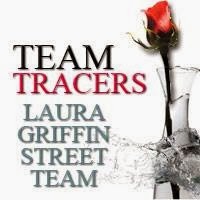 Laura had two Tracers novels come out in 2015 and I couldn't pick a favorite so I didn't. Click HERE for our interview and my review of Shadow Fall and HERE for Beyond Limits. 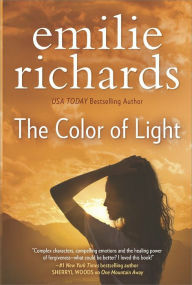 The Color of Light by Emilie Richards - Emilie writes emotionally intense Women's Fiction usually with a fantastic love story and her unique voice is one I'm always excited about. She is yet another favorite author of mine. Click HERE for my review courtesy RT Reviews Magazine. 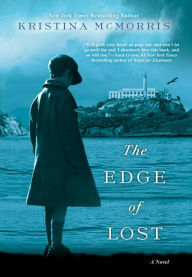 The Edge of Lost by Kristina McMorris - No one out there weaves a story quite like Kristina, she favors historical novels in the WWII era but this time she goes back a bit farther in a timely tale of the struggle of American immigrants in the early part of the twentieth century. Kristina is yet another go to author for me. Click HERE for our interview and my review. 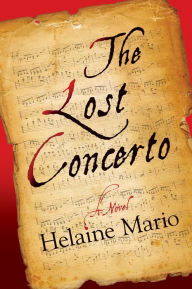 The Lost Concerto by Helaine Mario - Helaine is a new to me author who touched my heart with her wonderful saga of loss and redemption. I will definitely be reading more by this talented author. 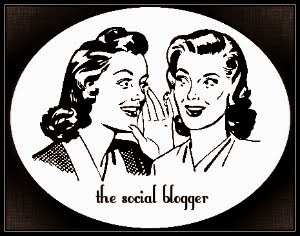 Click HERE for our interview and my review. 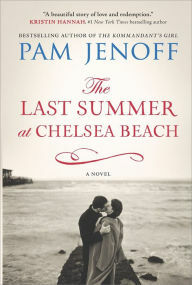 The Last Summer at Chelsea Beach by Pam Jenoff - Wow is about all I can say about this wonderful WWII era novel, its about loss and forgiveness, first loves and second chances by yet another wonderful author whose become a favorite. Click HERE for our interview and review. 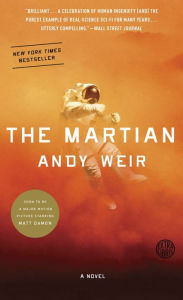 The Martian by Andy Weir - Its no wonder this fabulous Science Fiction made it to the big screen. Its inventive and Andy's humorous, gallant and very brave star steals the show. 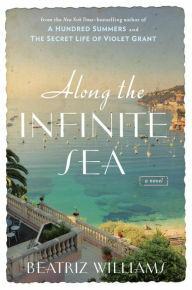 This was the featured read for July in my Goodreads General Fiction group. Click HERE for my showcase and review. 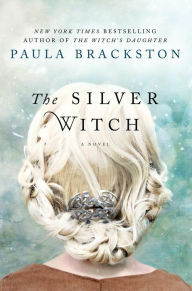 The Silver Witch by Paula Brackston- Paula calls the wilds of Wales home and she uses her magical mystical homeland in her vibrant inventive novels. 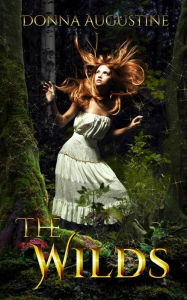 Her latest witchy tale is haunting and fascinating as she melds two timelines with myths legends and fantasy. Click HERE for our interview and my reivew. 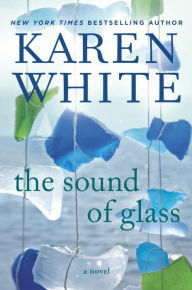 The Sound of Glass by Karen White - Karen White is a Low Country author whose novels have entertained me for years she has a unique way of storytelling and her latest is a Southern Gothic masterpiece that features some very Tennessee Wlliams-esque characters. Click HERE for my review courtesy RT Reviews Magazine. The Wilds by Donna Augustine - Donna is a relatively new to me author who I've come to really love. The Wilds is a dark apocalyptic urban fantasy/thriller that mixes a coming of age and loss of innocence novel and is the first in her new series. Click HERE for our interview and my review. 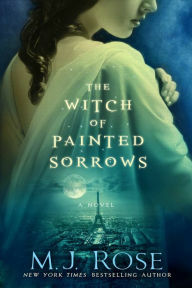 The Witch of Painted Sorrow by M. J. Rose - I love MJ's novels, they're hard to beat and this one set in the Gilded Age mixes reality and illusion, darkness and light, mystery and romance and is an exceptional example of her master of the written word. 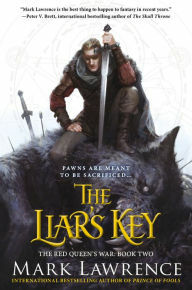 Click HERE for my starred review for LibraryJournal posted on the B&N product page. 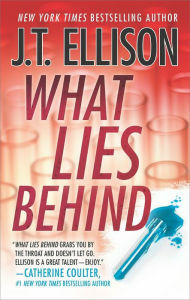 What Lies Behind by J T Ellison - There aren't many who can hold a candle to the fabulous JT Ellison her attention to detail will entertain and scare the beejeezes out of you too. I was totally blown away by her latest and all in her Samantha Owens series. She also co-writes the Brit in the FBI series with Catherine Coulter and she's coming out with a Stand A Lone in 2016. Click HERE for our interview and my review. Menagerie and The Martian were on my top 10 of 2015 too. 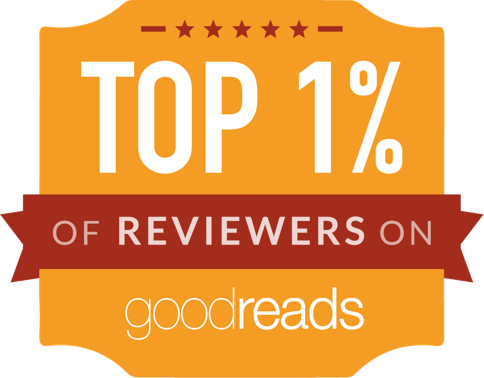 They were great reads. Here's to 2016! Hi Melanie, Happy New Year! I love looking at everyone's top reads for the year, great list Debbie! Lots of great titles on there--several I've read already and others I will definitely pick up now. Thanks for the list, Debbie! Hi Brenda, glad to add to your reading list!! I promise to read MJ Rose by Januray and try Brackston next year. Paula brackston is an excellent writer.She is at the top of my 2015 book list. 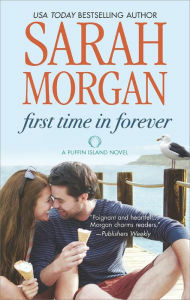 Along with Nora Roberts, Cate Tiernan, Dean Kootz, Madeleine Roux, and Random Riggs. Fantastic, 5 on them were ones I read and some I have on my TBR to read. Waiting for The Sound of Glass to come out in paperback, unless I succumb and buy it on Kindle. Am going to listen to The Menagerie on audio in 2016, might be a stretch for me, but always good to go beyond ... just a little! Must delve into some of these others too and find out a little more. Great reading Debbie, so nice to have made contact in 2015. Here's to 2016 great reading. OMG Kathryn Menagerie was an unexpected pleasure for me. It is a bit dark but wow fantastic. Karen White never fails me. Wonderful choices. Thanks for this, Deb! XOXO! Oh I have GOT to try Morgan in 2016. Griffin is on my list too. Man there are just too many tempting reads!